Farm chores can be rewarding work. For children, helping out around the farm is a great way to learn responsibility and practical life skills. In an age where schools have cut back on time devoted to physical education and recess, it can also be an important part of keeping youngsters active and healthy. Here are five farm chores suitable for children of varying ages. A strong poultry flock is a vital part of any diverse farm or homestead, and the perfect opportunity to integrate children into the day-to-day management of farm livestock. Ages 2-4: As soon as they can walk, toddlers can help collect eggs and will delight in finding these hidden treasures. Give them their own special egg-collection container to add to the sense of adventure. 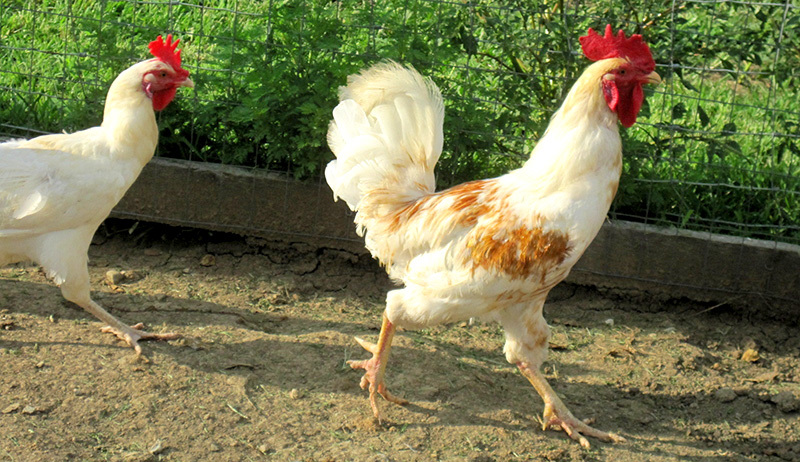 Be cautious about hens or roosters that might become aggressive with little ones around because of their small stature. 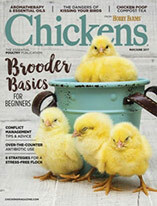 Ages 4-7: As children get older, they can begin helping feed and water the family poultry flock. You might have to demonstrate the proper procedure several times, so don’t get discouraged if children don’t do a perfect job the first few times. Work alongside them, as necessary, always aiming toward equipping your children to be independent. 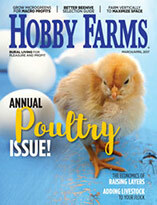 Ages 8+: Older children and teenagers can begin taking full responsibility for raising poultry if they take an interest in it. 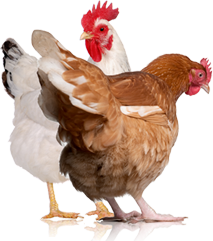 They can incubate eggs (an excellent educational experience), raise different breeds and even show their birds as part of a local 4-H club or county fair. Want your kids to eat their veggies? There is simply no better way to get them interested in food than having them grow their own. Ages 4-8: As time goes on, children will become more opinionated about what goes into the garden and where. This age is a good time to upgrade their garden play area to a garden bed of their own. Raised beds are especially useful for kiddos so they understand their boundaries. At our house, the kids use leftover seeds from the previous year and also pick out a few new seeds when we make our spring purchases. They are in charge of planting, watering, weeding and harvesting their own plot. You would be shocked at how much produce a 4-year-old can grow with very little effort! This will build self confidence in children and an appreciation for the veggies on their dinner plate. Ages 8+: As kids get older, they can become useful helpers in the family garden. They can learn to identify and pull weeds, turn compost, and plant, harvest and even cook what comes in! Remember, children want to work alongside you, especially the younger they are. You will get better results by inviting them to help you than by directing them to complete a complicated task on their own. Some children will naturally take to caring for animals, while others may shy away from them. Exposing them to animals at a young age will go a long way toward helping them develop interest in and comfort around farm livestock. Ages 3-6: Young children should be exposed frequently to farm animals under close adult supervision. Teaching them basic skills, like how to approach a cow or horse, is important even at a young age. Give them plenty of opportunities to pet and grow accustomed to friendly livestock while also teaching them healthy boundaries for their own safety. Animals like rabbits or smaller goats and sheep might be the most manageable way to start teaching youngsters livestock care. Ages 7-10: Older children can begin taking more a more serious role in livestock management. If they’ve had plenty of exposure to animals from a young age and demonstrate confidence in and around farm animals, let them feed and water on a regular basis. Some supervision will be necessary to be sure they are doing it correctly and safely, but again, the ultimate goal is for children to take ownership and responsibility for this task. Ages 11+: Teach older children and teenagers signs of a distressed animal and show them routine signs to check to ensure the flock and herd is healthy. Let them learn to milk goats or help with sheep shearing. Teenagers can begin buying and caring for their own animals—a great way to learn responsibility and earn extra cash! The Bells learned their teenage son is a great fit for these heavy duty chores. Age 12+: If your farming is also a source of income for your family, don’t forget to include older children and teenagers in the business side of things. Paperwork, filing, bills and record-keeping may not be the first kid-friendly farm chore that comes to mind, but it’s a pivotal part of any successful farming venture. If your teenager has an interest in math or technology and a keen eye for detail, let them into the farm office and see what happens. If you are direct-marketing to customers, you might find that your teenager is better at managing the farm website or Facebook page than you are!